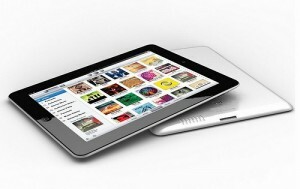 Apple Prepping for Newer, Smaller iPad? It appears as if Apple’s component suppliers in Asia are preparing for mass production in September of a tablet with a smaller screen than the current generation iPad. This news comes from anonymous people who are “familiar” with the situation, suggesting that a launch for the device is also in the near future. Two of the sources stated that the tablet’s screen will likely be smaller than 8″, 1.7″ shorter then the current 9.7″ screen of the current iPad, a size that has remained unchanged since the very first model launched back in 2010. Officials at the component supplier, who spoke under anonymity, stated that Apple has told them to prepare for mass production of the smaller tablet. Earlier in the year it was reported that Apple was testing a smaller version of the iPad but had yet to decide whether or not to proceed with production of the device. 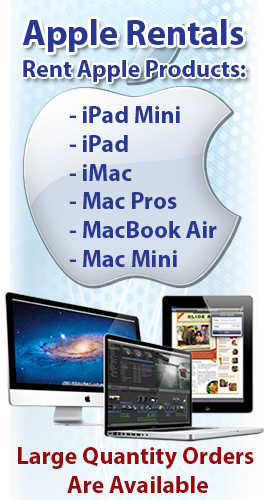 Many consumers would probably flock to a smaller iPad with a reduced price as it would allow them to have most of the benefits of the current iPad without the steep price tag. One source stated that Apple is working with multiple screen manufacturers, including LG in South Korea and AU Optronics in Taiwan. Unfortunately (though not surprisingly), an Apple spokeswoman out of Cupertino declined to comment on any such allegations. Analysts also believe that a smaller iPad could help Apple maintain the dominance it has on the tablet market, especially with stiff competition coming from other manufacturers like Samsung, Amazon, Microsoft and Google, all of which having recently unveiled tablets of their own. The iPad held a 62% share of the world-wide tablet market last year with tablet sales all around expected to increase 85% this year to a total of 126.6 million units. As the tablet market expands, the choices for consumers increase as well with more options and variations to choose from. Google began accepting pre-orders for the Nexus 7, which is expected to sell for $199 and is in direct competition with Amazon’s Kindle Fire. In addition to that, Microsoft’s Surface tablet, which is expected to drop this fall with a 10.6″ display, is said to be the biggest new competition for the iPad.